Create a contact record for yourself. It should have all the information you want to send someone. Click the People button in the Navigation pane. 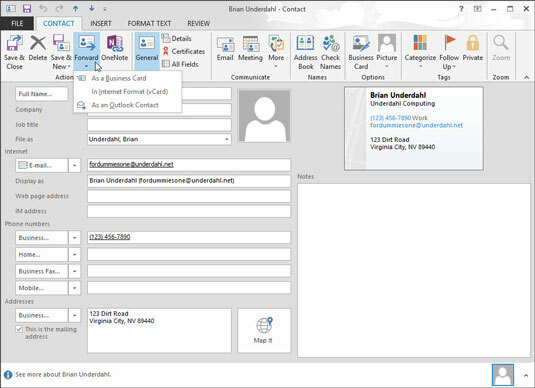 Double-click the contact record that has the information you want to send. The contact record you double-clicked opens. Click the Forward button on the Contact tab’s Ribbon. 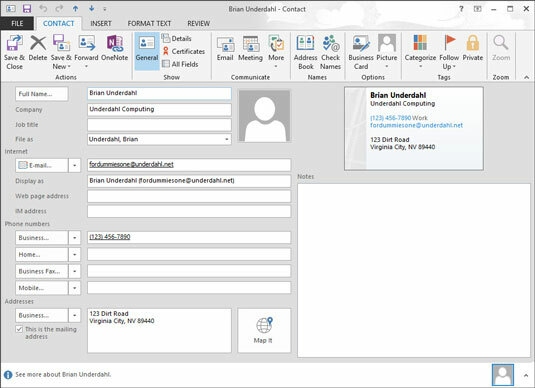 A menu offers three choices: Send as Business Card in Internet Format (includes Outlook format), In Internet Format (vCard), and In Outlook Format. 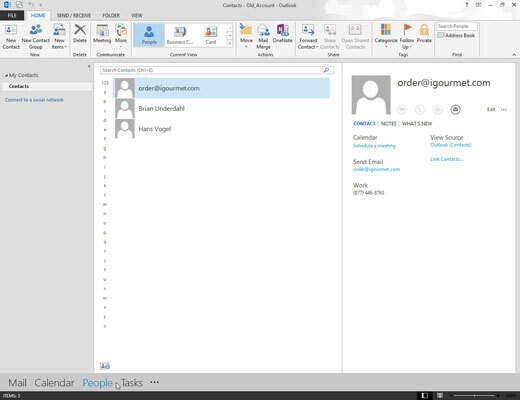 If you’ve set up a text messaging service to work with Outlook, you’ll see another choice labeled Forward as Text Message. In the To text box, type the address of the person who should get the message. Or, click the To button and pick a name from the Address Book. Click the Send button (or press Alt+S). Your message and the attached vCard are sent to your recipient. 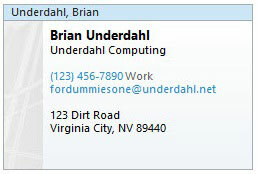 When you get a business card in an e-mail message, you can add the card to your Contacts list by double-clicking the icon in the message that represents the business card. Doing so opens a new contact record. Simply click the Save & Close button to add the new name — along with all the info on the business card — to your Contacts list.